SOOP SOOP is not your average corner store. You won’t find milk or cigarettes inside, but you will find bangin’ cat sweaters, shorteralls, and clothing based around sustainability. Owner Christina Pretti launched SOOP SOOP online before opening the doors at 168 Gladstone Ave. (between Dundas and Queen). She offers vintage, used, and reformed clothing for customers and makes sure that all vintage picks are relevant to modern fashion—nobody is walking out looking like a scene from an ’80s movie (unless that’s what you’re into). 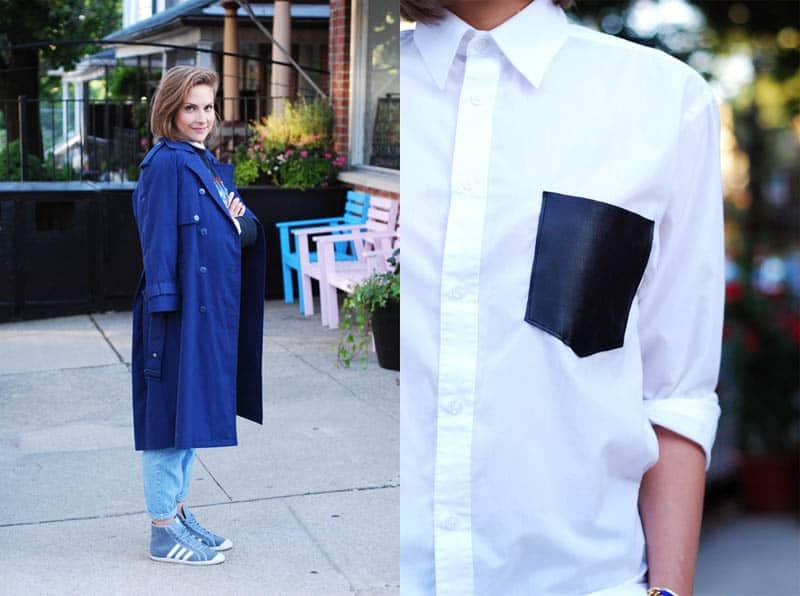 For her Styled by Local shoot, Pretti picked a “Polished Tomboy” look which deserves an A+ in our books. 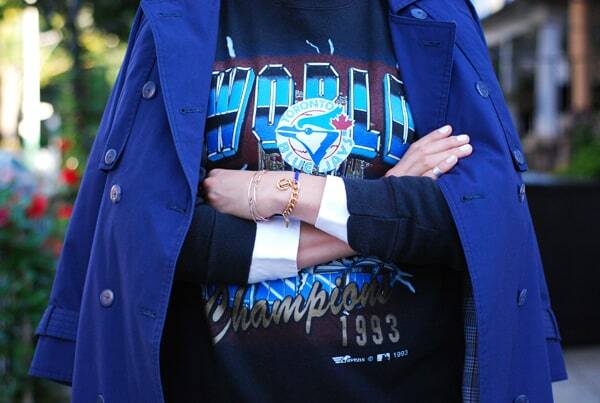 From the leather detailed pocket on her crisp button-up (which is a part of SOOP SOOP’s own collection) to the vintage Blue Jays sweater (someone please run to the store now and pick that up), Pretti and SOOP SOOP have got it going on. In Styled By Local, Meredith asks our favourite local designers, boutique and vintage shop owners to style an original look to share with our readers.